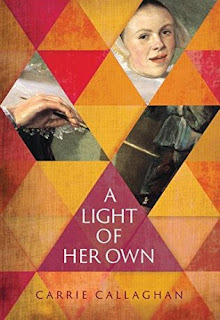 A Light of Her Own tells the story of Judith Leyster and Maria de Grebber. Both women were painters in 1600's Holland. Judith was driven to paint, driven to succeed, while Maria was more interested in religion and spirituality. This novel explores their lives independently and also their friendship. Before reading this novel, I knew very little about life in Holland during this period. 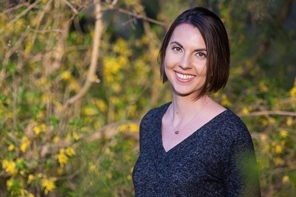 The author, Carrie Callaghan, did an amazing job of evoking the time and place. The descriptions of walking through town, life at home, and especially life in the artist's studio were absolutely fascinating. I also was not familiar with Judith Leyster and her role in the Dutch Golden Age of art. I spent some time looking up her paintings after reading this book, and am grateful that I learned more about her life and work through reading A Light of Her Own. The book started a bit slowly for me, but I soon was engrossed in the lives of these women -- especially Judith, with her painting, her struggle to succeed in a world of men, and her unusual (for a woman) acceptance into the Haarlem artist's guild. "She reached into her pocket, the pouch hung from her waist, and took out a handful of buttons. It was a habit of hers to carry around the components of a painting so she could consider them, learn their curves and their secrets, whenever she had a free moment" (chapter 3, location 259). I recommend this novel for readers of historical fiction, and especially for anyone who is interested in art history. I received a copy of this book from NetGalley and Historical Fiction Virtual Book Tours. Thank you so much for hosting Carrie's tour & for your great review! I'm so happy that you enjoyed A Light of Her Own!